Anodic Oxidation covers the application of the concept, principles, and methods of electrochemistry to organic reactions. 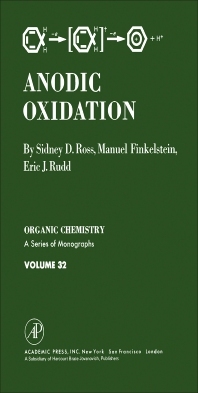 This book is composed of two parts encompassing 12 chapters that consider the mechanism of anodic oxidation. Part I surveys the theory and methods of electrochemistry as applied to organic reactions. These parts also present the mathematical equations to describe the kinetics of electrode reactions using both polarographic and steady-state conditions. Part II examines the anodic oxidation of organic substrates by the functional group initially attacked. This part particularly emphasizes the kinds of intermediates generated and the mechanisms leading to final products. This book is intended primarily to organic chemists and physical electrochemists. III. How Is the Electric Current Carried through the Cell?